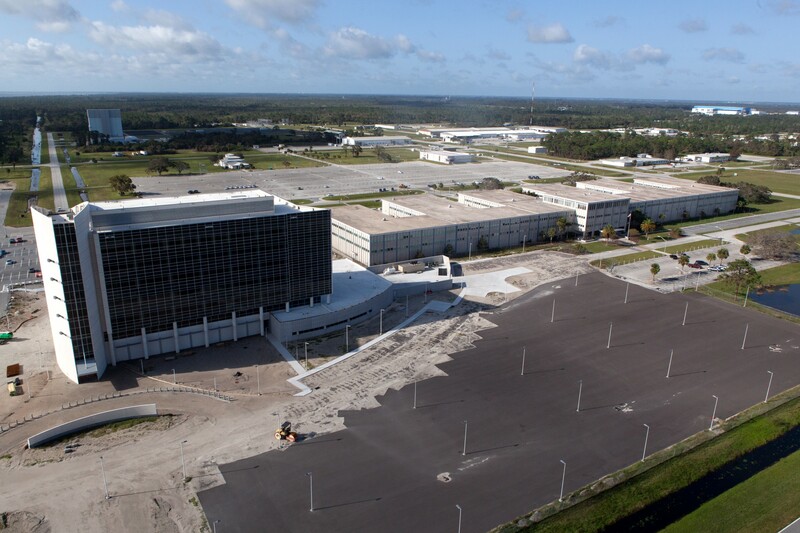 Update (09/13): The Kennedy Space Center will remain closed on Thursday to allow the Damage Assessment and Recovery Team to work on securing the facility for the general work force. 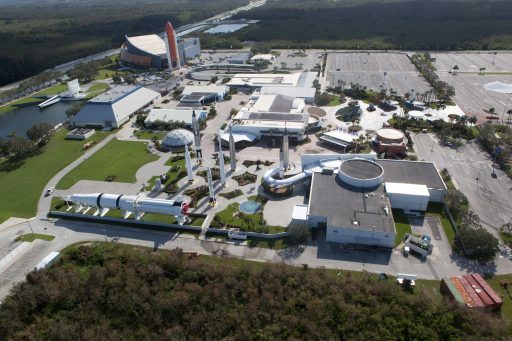 A decision on whether KSC re-opens on Friday will be made later. 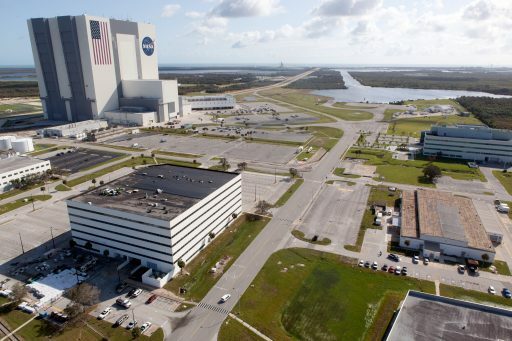 Reeling from a glancing blow by Hurricane Irma over the weekend, NASA’s Kennedy Space Center will remain closed on Wednesday as a Damage Assessment Team surveys the center’s facilities and work goes into motion across Cape Canaveral to re-establish power and water services to facilities and housing. 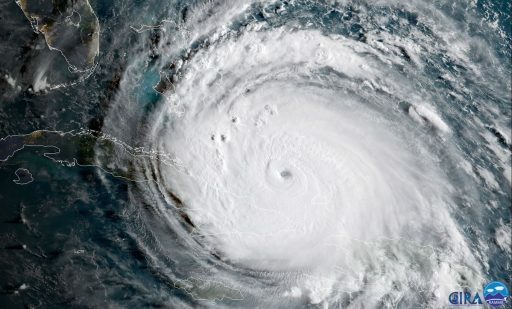 Traversing the Atlantic Ocean, Irma became the largest Atlantic Hurricane on record with maximum sustained winds peaking at 295km/h – tearing through Barbuda near peak strength before churning over St. Martin and the Virgin Islands on a path forecast to take it over Florida on Saturday and Sunday. 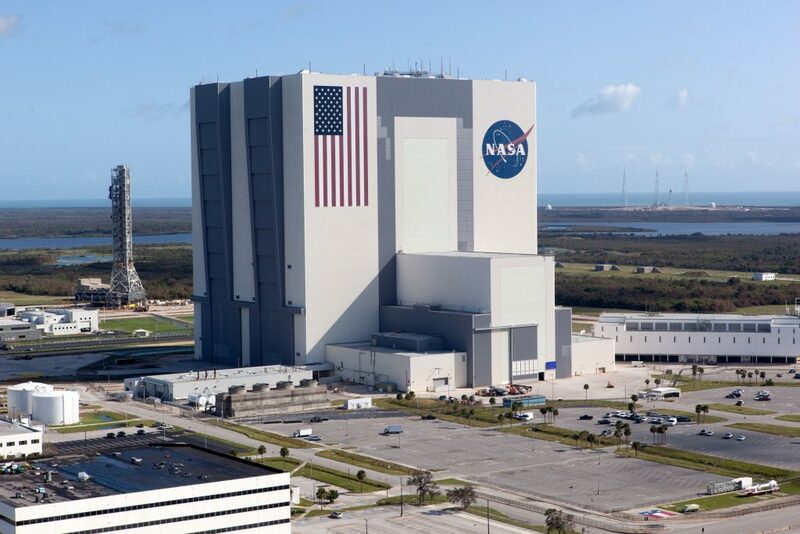 Initial predictions had the hurricane move along Florida’s east coast, passing directly over America’s prime space launch site at Cape Canaveral. 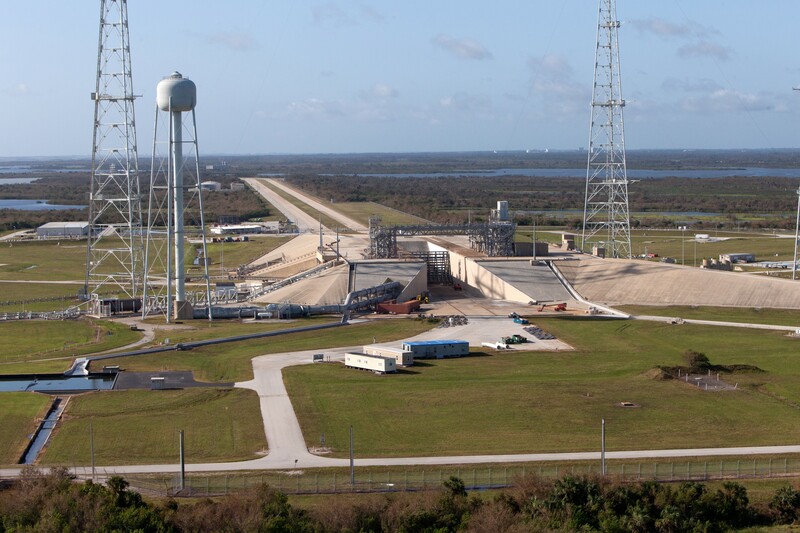 Accordingly, Hurricane preparations were initiated around mid-week at Cape Canaveral Air Force Station and the Kennedy Space Center while remaining in readiness for the launch of a SpaceX Falcon 9 rocket on Thursday that carried the U.S. Air Force’s X-37B space plane into orbit. 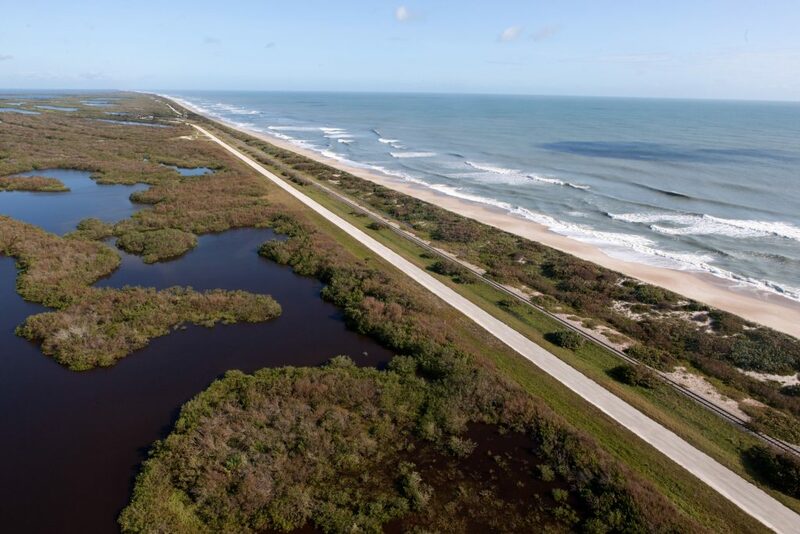 Getting the X-37B out of Florida prior to the storm’s arrival by launching it into orbit was seen as the best case scenario and SpaceX set a new record for post-landing safing of the Falcon 9 first stage that had landed at the Cape’s Landing Zone 1 and was safely indoors by mid-day Saturday. 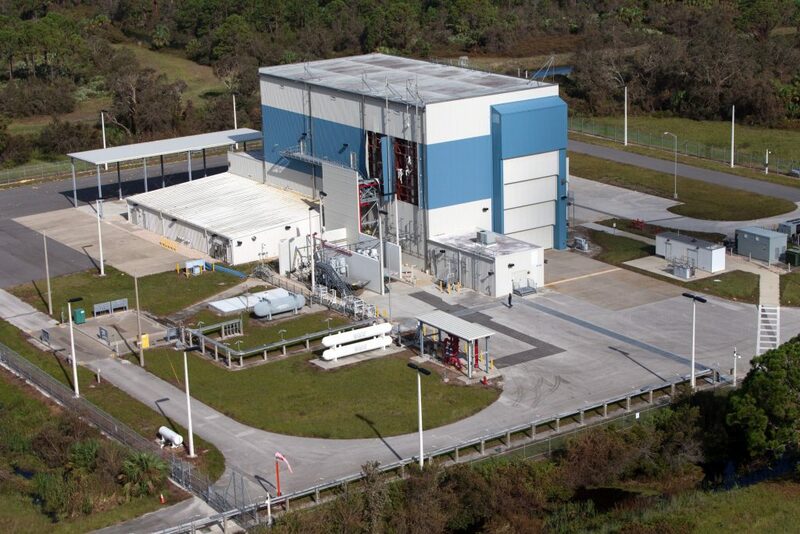 Steps completed under the Cape’s Hurricane Protocol included taking down power lines to non-critical facilities, buttoning up launch facilities and ground support hardware, backing up mission-critical data off-site and securing electronics and flight hardware from potential water intrusion. 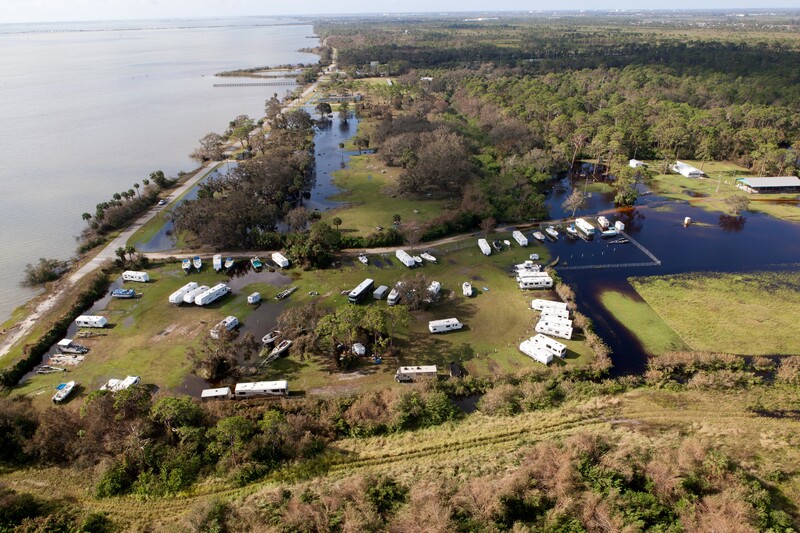 Preparations were mostly complete by Thursday afternoon and non-essential personnel were released later that day to take care of their homes before evacuating or sheltering in place. On Friday and Saturday, Irma caused destruction in Cuba and began the anticipated northward turn toward the Florida Peninsula, having taken a trek further west than initially anticipated which was good news for Cape Canaveral but less than optimal for the Florida Keys and everyone along Florida’s west coast including those that had originally evacuated from the east. 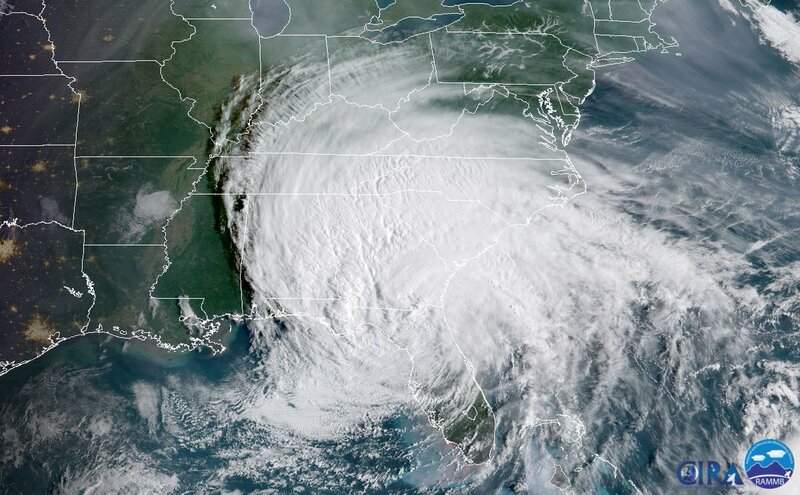 Irma made landfall in Cudjoe Key on Sunday with maximum sustained winds of 215 km/h and continued north toward the Florida Peninsula, reaching land over Marco Island and Naples where gusts up to 229km/h were measured. 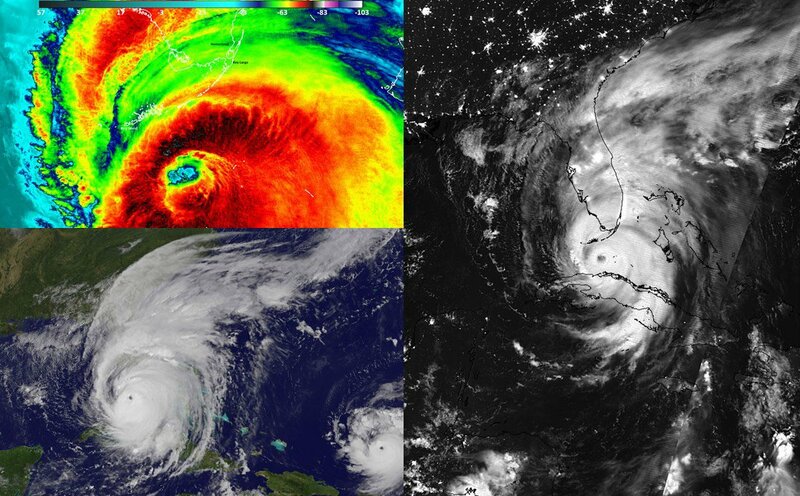 Irma caused at least 55 deaths and over $30 billion in damage during its destructive trek over the Atlantic and into the continental U.S. The storm continued north along Florida’s west coast on Sunday and into Monday with Irma’s eye passing some 180 Kilometers west of the Cape, though the outer bands of the hurricane brought plenty of rain and wind speeds reached 120 km/h. 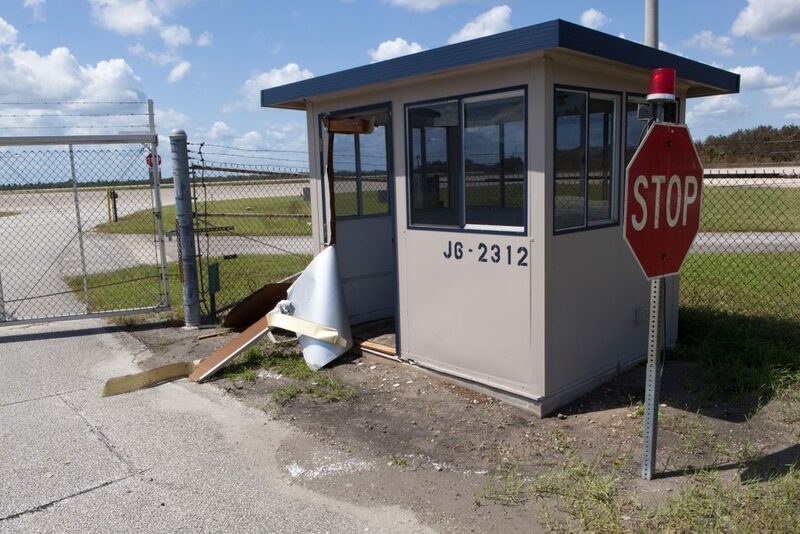 Tornado signatures also showed up on the radar associated with Irma’s passage and power was knocked out across the Kennedy Space Center at 4:08 a.m. local time on Monday with essential facilities going to backup generator power. A 120-strong ride-out team at Kennedy’s Launch Control Center kept watch over all critical systems and was ready to respond to any urgent situations if they arose. 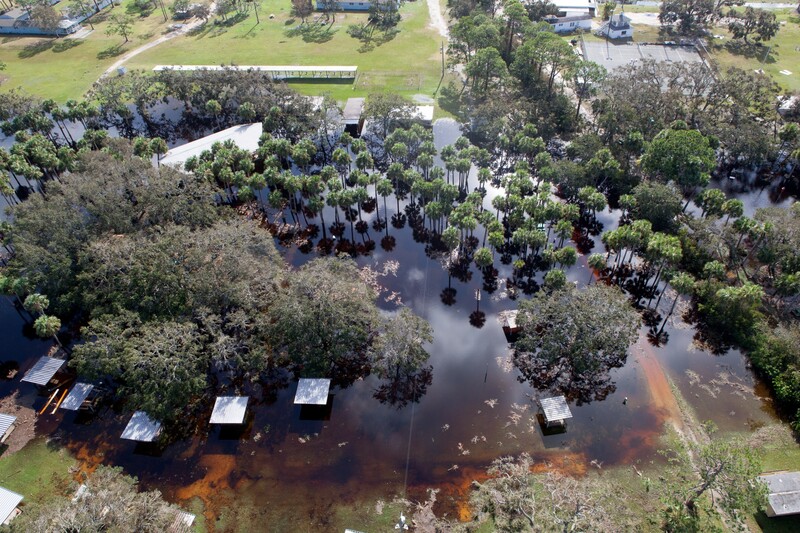 Cocoa Utility Water System customers lost water supply due to over 35 main line breaks affecting the Kennedy Space Center, Patrick Air Force Base, Merrit Island and surrounding residential areas. Water was not expected to be restored for two to four days and a 48-hour boil water alert was issued for the affected areas. 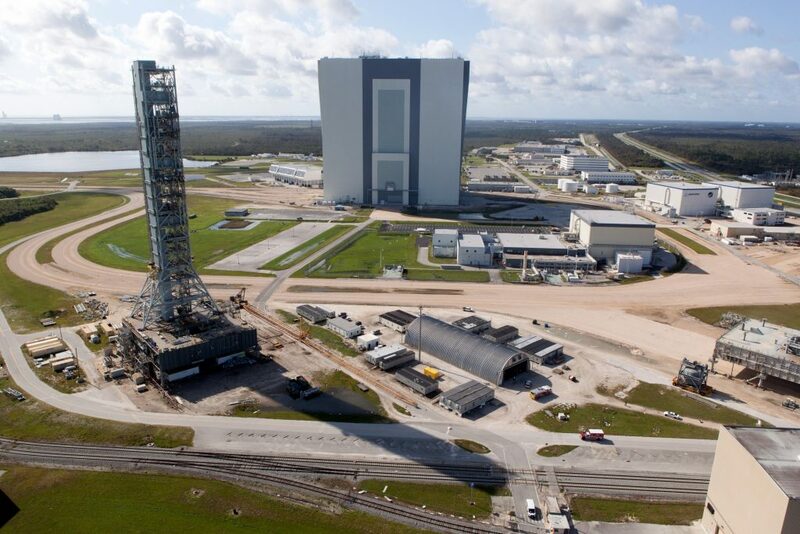 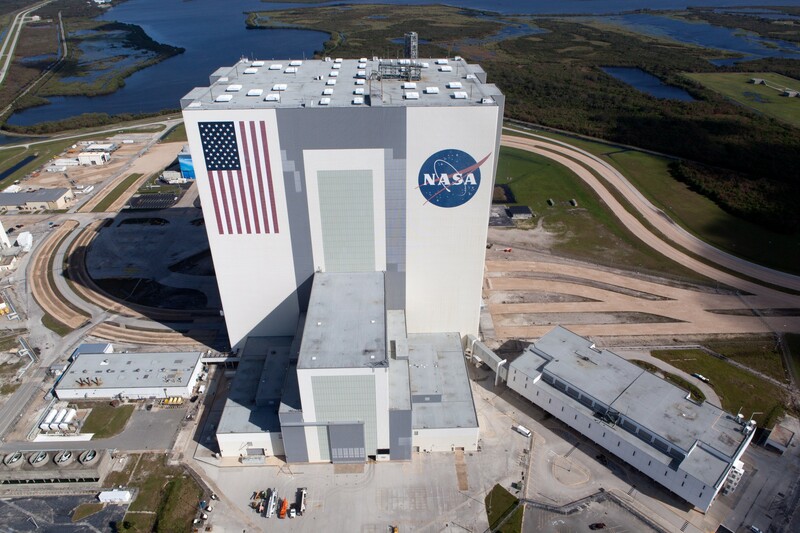 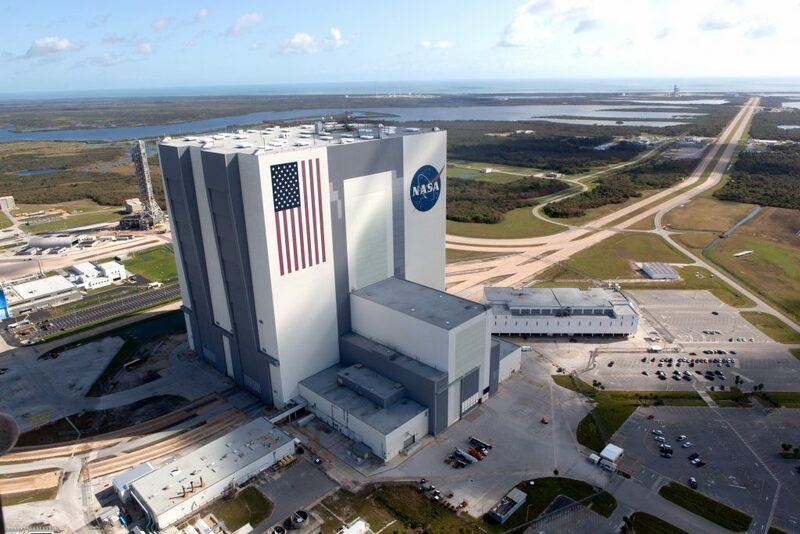 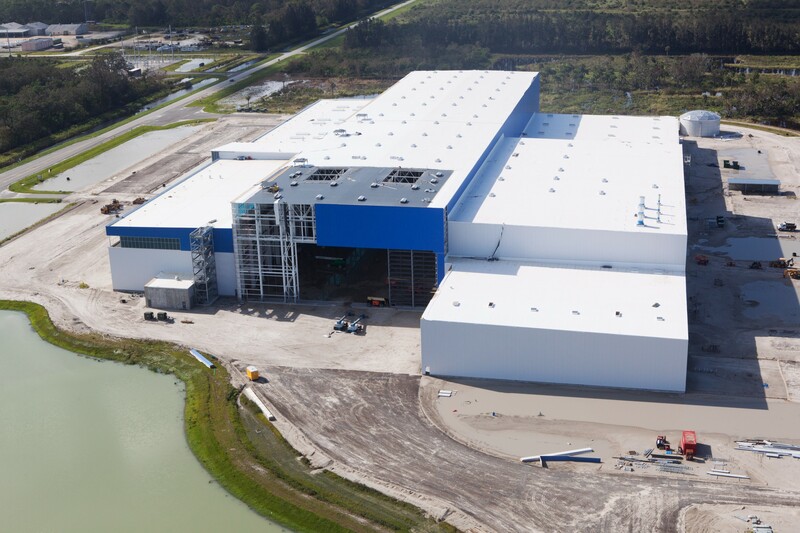 Power to critical Kennedy Space Center facilities was restored by mid-day Monday and initial damage assessments on KSC roads and facilities were underway by the Ride Out Team which remained the only staff allowed into the center throughout Monday. 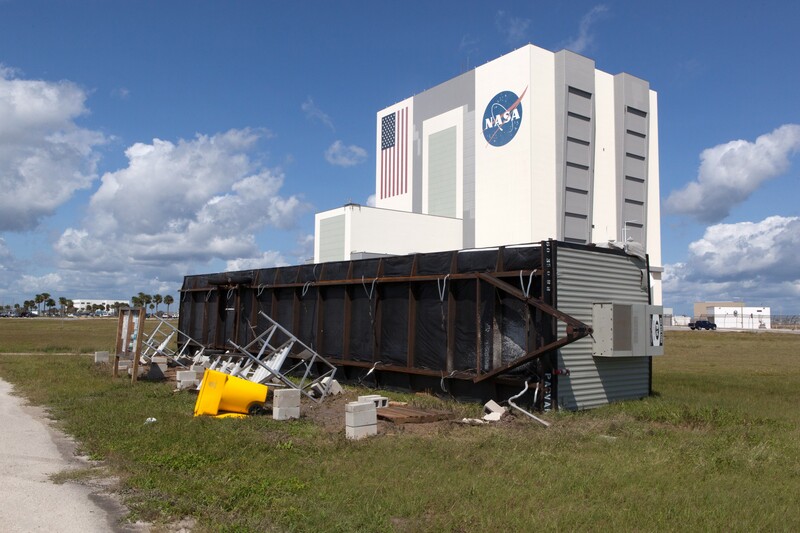 The 250-member Damage Assessment and Recovery Team (DART) went into action at 8 a.m. Tuesday to relieve the Ride Out Team and then fan out across KSC to begin detailed damage assessments and ensure there are no hazards for Kennedy’s full complement of employees. 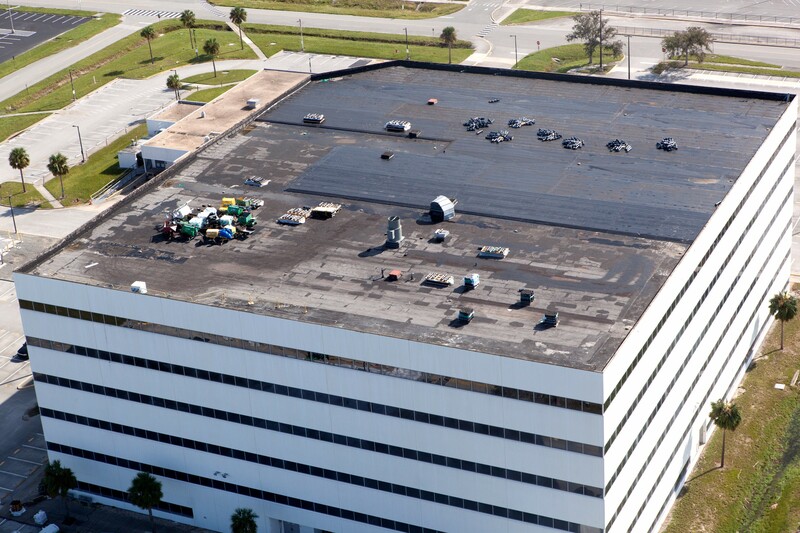 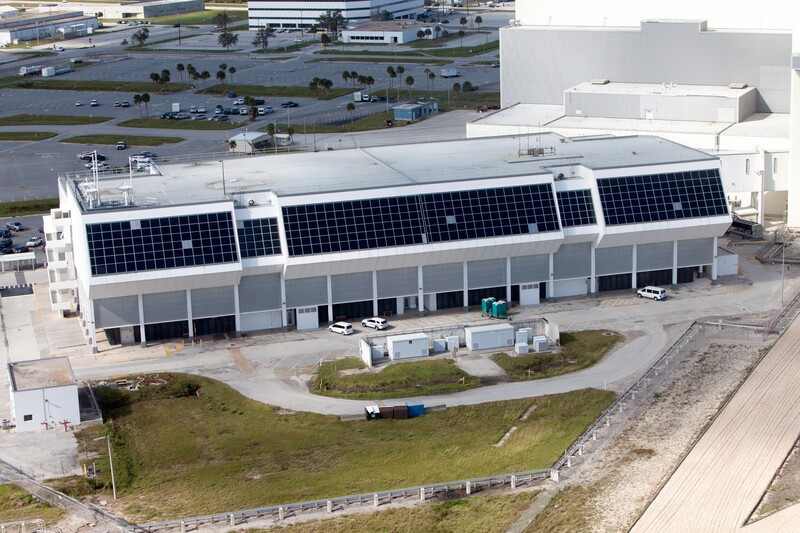 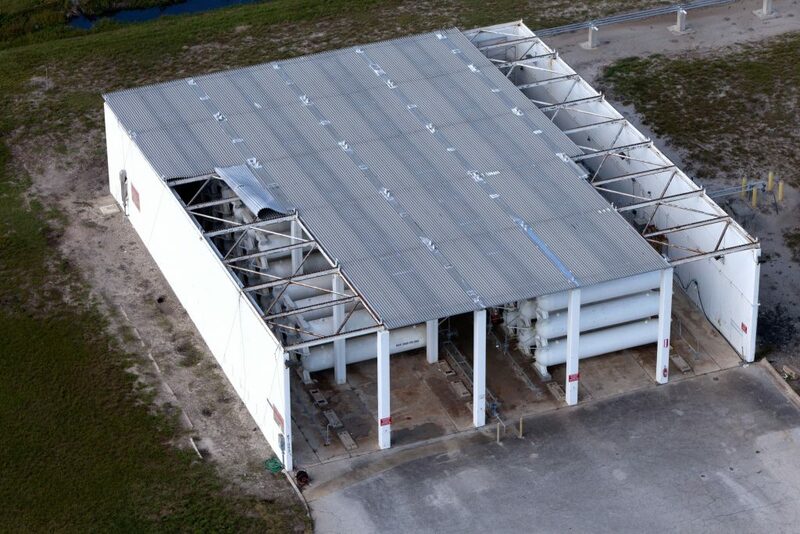 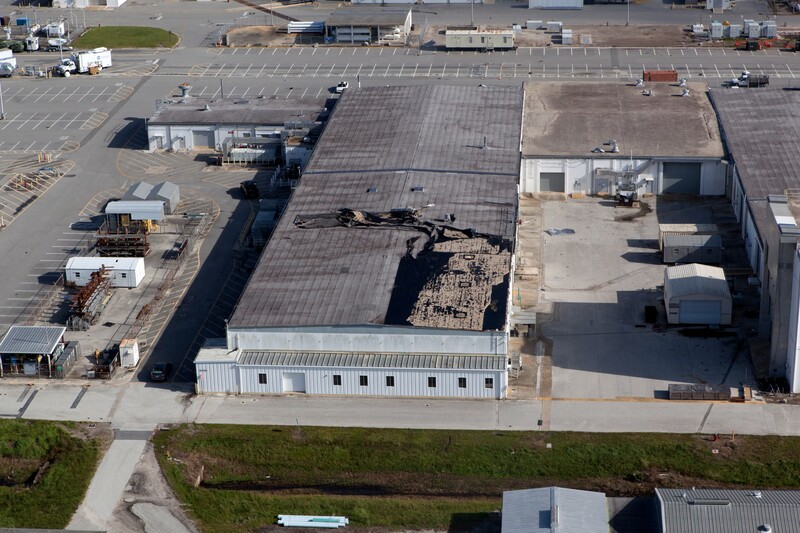 An aerial damage survey was conducted on Tuesday, showing that all KSC structures have remained mostly unscathed with the exception of roof damage to some facilities, exterior damage to the Multi-Payload Processing Facility (MPPF), a flipped trailer near the Vehicle Assembly Building and water damage to park areas on center. 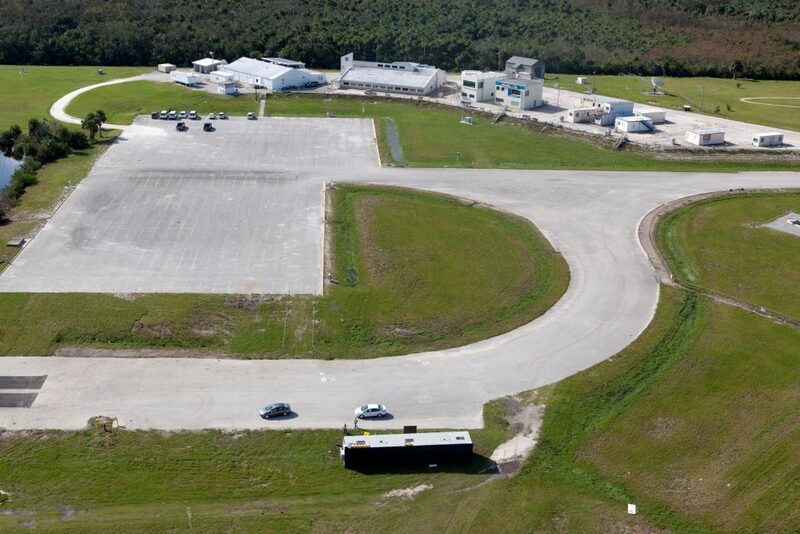 “Center Director Bob Cabana joined the center’s Damage Assessment and Recovery Team for a survey of the spaceport Tuesday,” the KSC Emergency Operations Center said in an update. 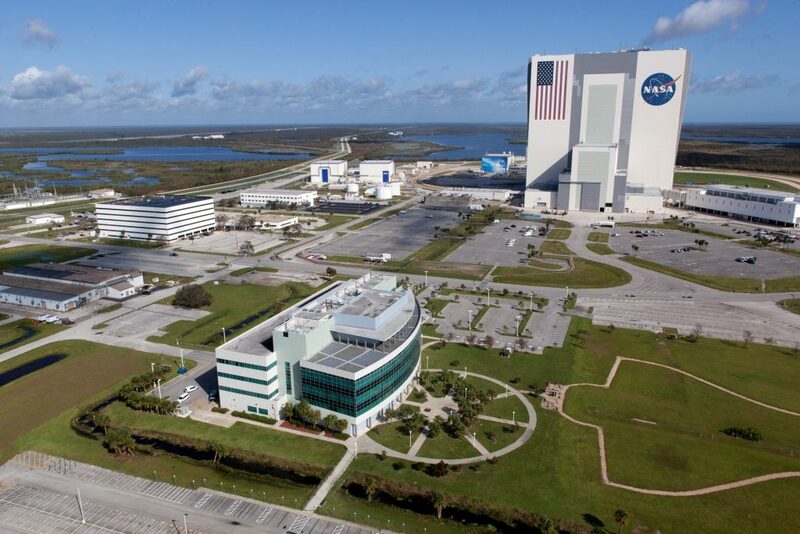 “A damage assessment report will be compiled over the next several weeks after a full inspection of the center has been conducted.” KSC will be closed on Wednesday as the center remains without water and a decision on re-opening the center on Thursday will be made later in the day. 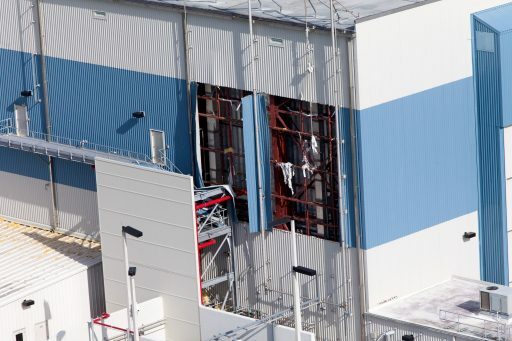 Further south at Cape Canaveral Air Force Station, damage assessments also began on Monday with both installations largely without power along with 87% of Brevard County residents. 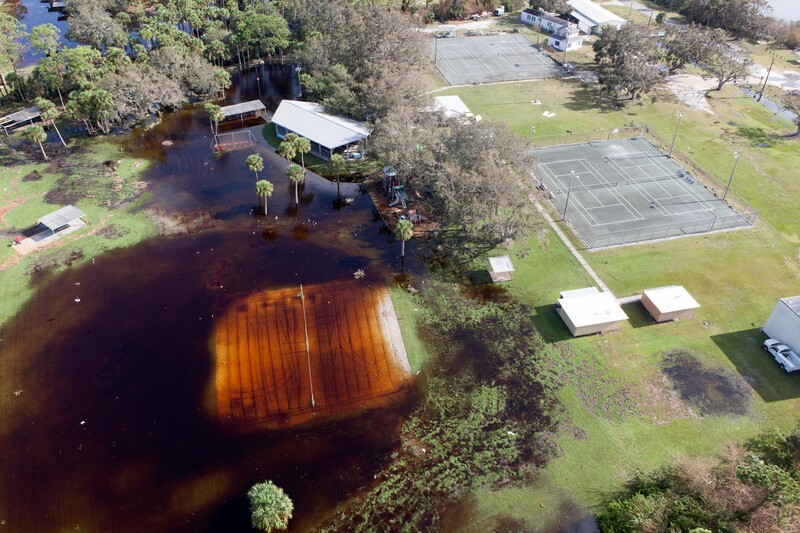 Evacuation orders for people living off base were recalled on Monday, but portions of both CCAFS and PAFB remained closed to allow power and water to be restored first. There were no immediate reports of issues at CCAFS launch pads, control centers and hangars. 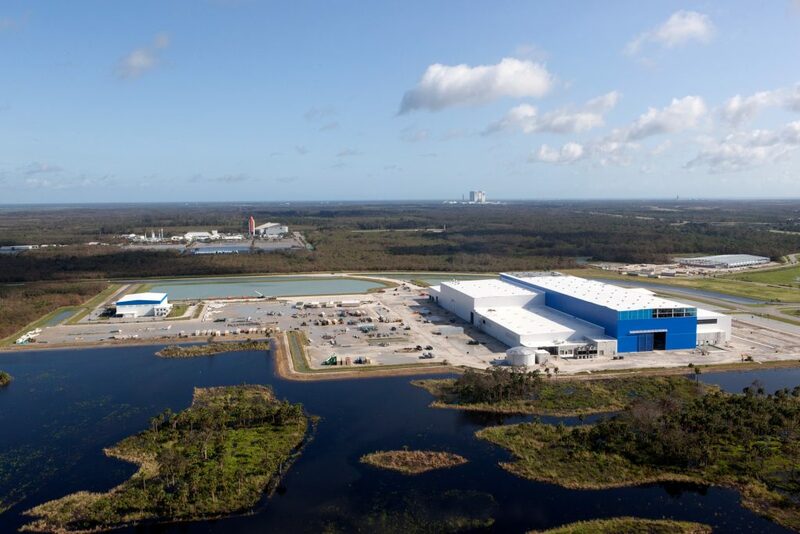 United Launch Alliance CEO Tory Bruno noted at World Satellite Business Week that damage at Cape Canaveral and ULA’s facilities is relatively minimal. 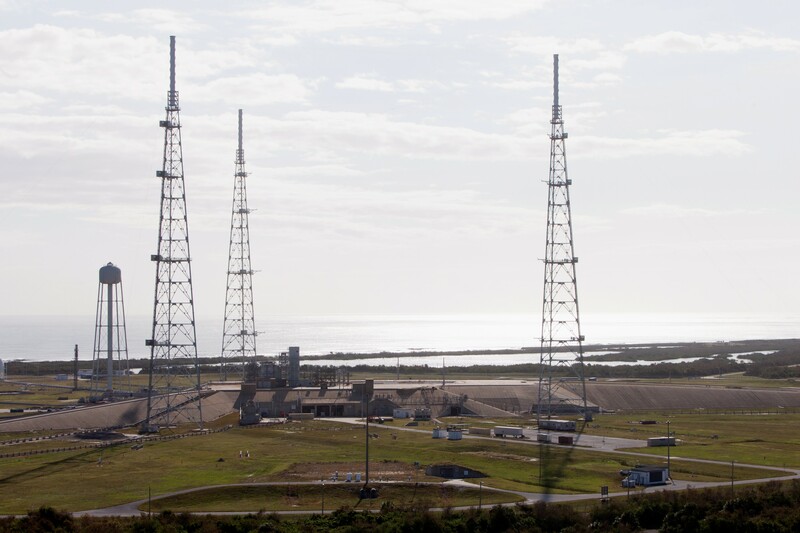 ULA expected to resume nominal operations on Wednesday, gearing up for stacking of an Atlas V rocket for the launch of a classified National Reconnaissance Office mission.